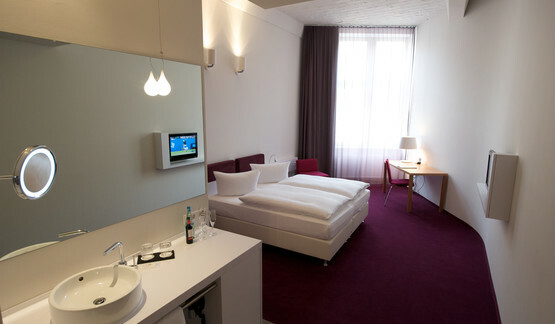 Wyndham Garden Berlin Mitte Hotel offers its guests 172 modern and individually formed hotel rooms. The hotel's stylish industrial design is also reflected in the rooms: High ceilings with stucco details, a well thought out lighting concept to make you feel at home, carefully selected colours and shapes characterise the atmosphere of the hotel rooms. All the hotel rooms and suites are fitted with ergonomic mattresses and modern beds. The quiet courtyard atmosphere of the hotel ensures a high level of sleeping comfort. The rooms of all categories offer a working desk, seating area, safe, satellite TV, Pay TV, tea and coffee maker, heating, telephone, radio as well as Wi-Fi internet. Except of some standard rooms, every guestroom provides a flatscreen TV. 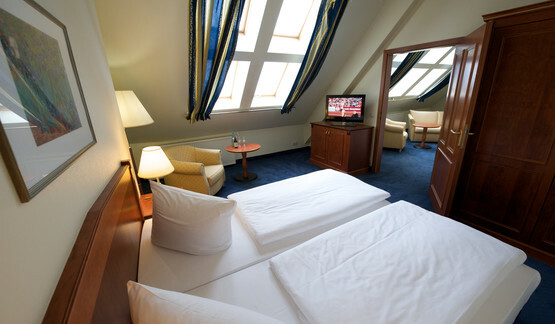 Some rooms in the Berlin hotel are fitted with air conditioning and underground heating. The Standard Double Rooms offer comfortable twin beds for relaxing nights. All rooms are equipped with a work desk, seating area, safe, satellite TV, Pay-Per-View TV, tea and coffee maker, heating, telephone, radio and Wi-Fi internet. A bathtub or shower can be found in the bathrooms as well as a hairdryer. The Superior Rooms are designed in a modern or classic style on up to 30 sq m. The additional comfort makes them especially attractive for business guests. The bathrooms of this category are equipped with a shower. Some of the rooms also have an air conditioning and underfloor heating. Comfortable, stylish and spacious. The Junior Suites are designed in a modern or classic style and offer a lot of personal space. 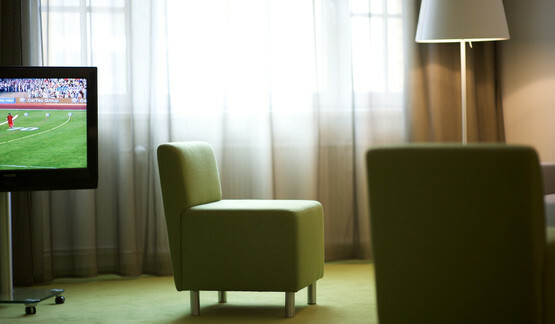 The sleeping and living area can be divided by a curtain for more privacy in your hotel room. The minibar is always filled with refreshments for guests of this category. If available, the Junior Suites also provide an air conditioner and underfloor heating. Highest comfort and modern style. The Suites provide generous space and offer a high standard of comfort. The sleeping area can be separated from the remaining room by a curtain for additional privacy in your room. The minibar is always filled with cold drinks. The Suite’s bathroom offers both a shower and bathtub. The Standard-3-bed-rooms offer comfortable twin beds and a single bed for comfortable nights. All rooms are equipped with a work desk, seating area, safe, satellite TV, Pay-Per-View TV, tea and coffee maker, heating, telephone, radio and Wi-Fi internet. A bathtub or shower can be found in the bathrooms as well as a hairdryer.